From the moment I landed at Calas Galadhon I knew I was in an extraordinary part of Second Life. 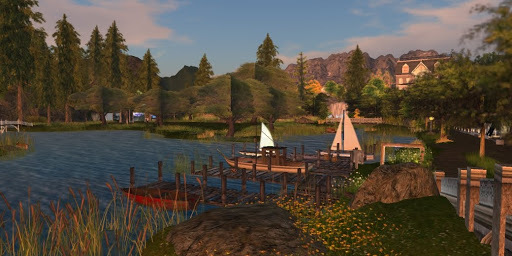 Calas Galadhon is the first sim in an eight sim group, created by Tymus Tenk & Truck Meredith. 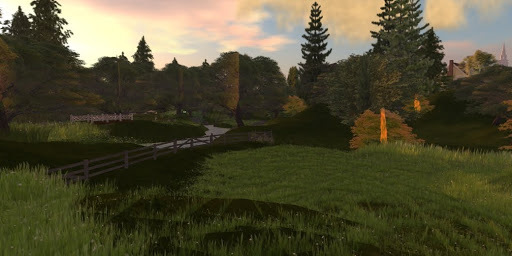 It is much more than landscapes and villages, and as you travel from sim to sim you discover a world so immersive and so beautiful it is truly overwhelming. In fact, on my trip yesterday I was so awe struck I needed to take a break and process what I had seen. I think you’ll see in the few photos I took that this is clearly a candidate for Yordie’s Wonders of Second Life. with billboards and tp’s to various locales. and find yourself a trail and start walking. Are you starting to see what I was experiencing? And there are delightful little villages. This ocean shore strums on my heart strings. Oh my, and there are boaties. 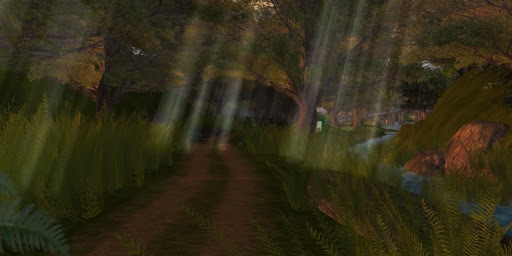 I saw scenes as beautiful as any I’d ever seen in SL. I was humbled by the artistry of Tymus & Truck. Remember, I have only shown you a handful of photos shot on only four of the eight sims. No photo I could shoot can convey the experience of being at Calas Galadhon and adjacent sims. 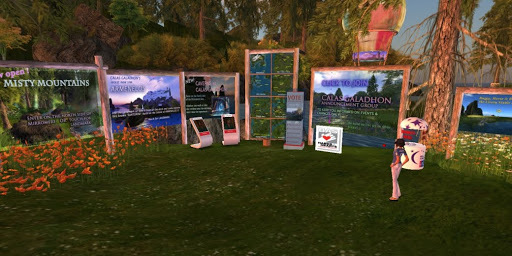 Tymus & Truck say, “Our gift to you … CALAS GALADHON”. 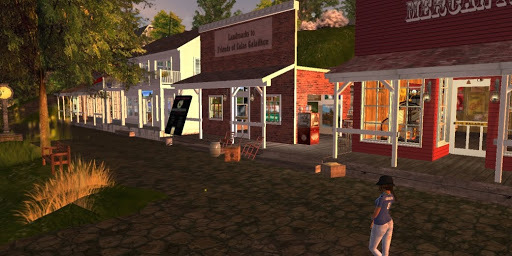 And this is certainly a gift for all of us in Second Life. If you’ve never had the urge to get on the ground and explore then there is no better place to start than here. Please visit this place of wonder and please contribute to the HIV/AIDS Education & Learning Center.